We really enjoy hearing our customers tell us how much they love their Yogibos. But nothing makes us feel better than when we hear how much our products have helped people who are battling Autism or Sensory Processing Disorder. 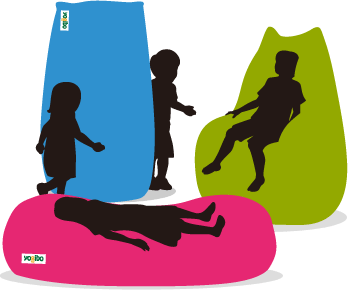 Seeing the smile of a child the first time they drop into one of our Max or Midi bean bags or sit in one of our Fly Swings really can't be beat. ー Yogibos are used in a variety of ways as a sensory product by parents and therapists. ー Yogibos also serve as an xcellent compression tool, conforming to your body and providing calming, uniform pressure. ー Because they are so comfortable and attractive, Yogibos can be integrated into a home's living area.